Although majority of the local and international observers have adjudged the 23rd February presidential and national assembly elections fairly okay, what transpired during the exercise highlight the challenges of holding free, fair and credible elections in Nigeria. I was at Iseyin camp, Oyo State as an IT support staff. I must commend the woman who's the camp director. I can't say the same for one Attah man at Ede camp, Osun. I bleed APC, I’m a card carrying member in Oyo State but I’m a Nigerian first before political party. 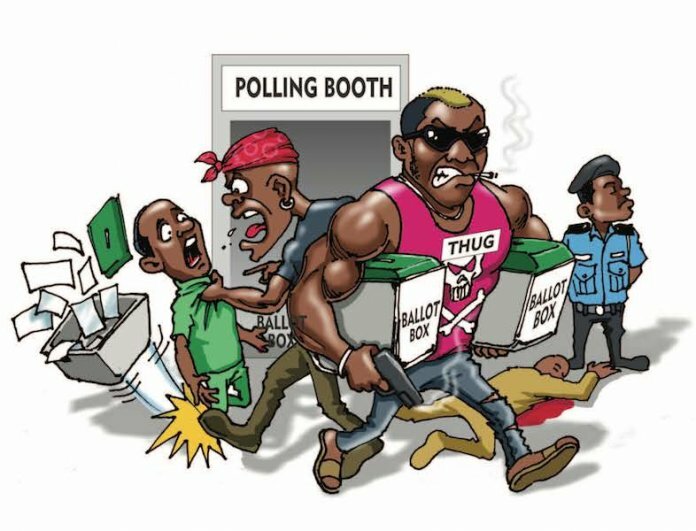 Furthermore, the elections provided further illustration of the anti-democratic political culture of the country’s mainstream political class, through the engagement of its members in various forms of political brigandage and their do-or-die attitude to elections. In places like Imo and Rivers States, incumbents abused their powers to determine outcomes of the elections.